The opening exchanges between Basingstoke ladies 1s, sponsored by KJ Smith solicitors, and Teddington were fairly even with both teams attacking when possible. Teddington capitalised on a penalty corner with a well disguised shot from the top to take the lead. Teddington tweet two nil up through another penalty corner, this time scoring with a high flick. Basingstoke were finding it difficult to break down the opposition defence; however they remained confident and continued to work hard. 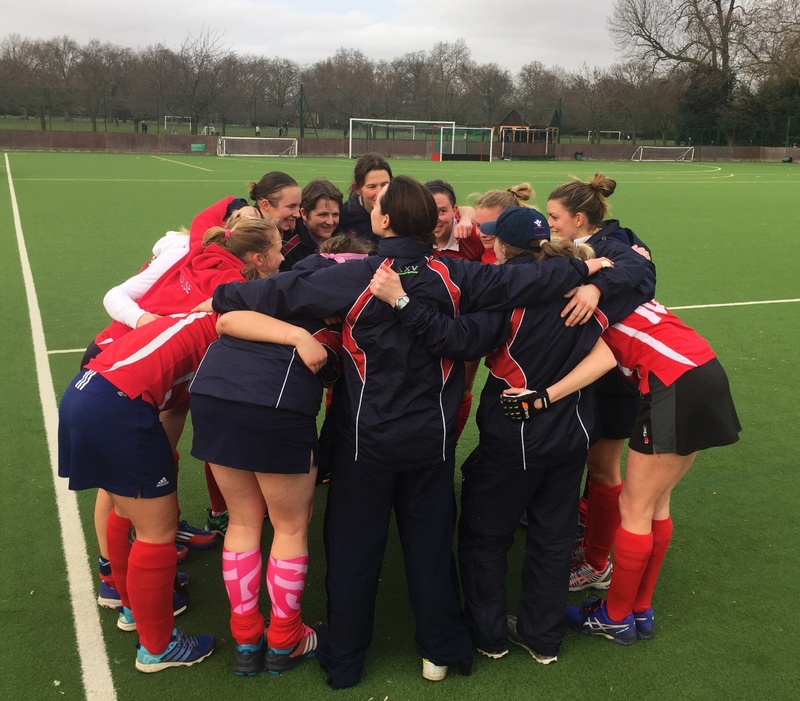 Improved team interplay from Basingstoke led to their first goal, with Claire Bowman scoring from close range. Basingstoke continued to improve throughout the match, utilising the space much more effectively. Man of the match Alice Lane, closed down Teddington's opportunities in the centre of the pitch and moved the ball on quickly in attack. Penalty corners continued to be instrumental in the match but this time it was Basingstoke who equalised through Kirsty Kent. Basingstoke looked strong in the final phase of the game and had a number of chances to take all three points, but were denied by some excellent saves from the Teddington keeper and defenders. All in all, a good recovery after a wobbly first half.